The first thing you should do is notify your apartment manager. They are going to want to know about anything strange going on in and around the complex. They will likely have dealt with this problem before and can take the appropriate steps to resolve the problem. If your property manager is not dealing with the issue or if you feel the need is more urgent you can dial 530-897-4912. This phone number is staffed 24 hours a day, 7 days a week. It's a non-emergency police number. They will likely send a patrol car by within a couple hours. If you think there is a situation that constitutes an emergency in which your safety or the safety of others is at immediate risk CALL 911! Be prepared to give them details about the situation and location. First and foremost make sure you remove yourself from the situation and any danger you might be in. Torres is a comprehensive program where men, women and families gain stability, income and housing. Our case managers help each adult address barriers like substance abuse, chronic health conditions and mental illness so they can recover their lives. It's important to remember that people can work their way out of homelessness with the right help and support. The Community Action Agency of Butte County runs Esplanade House, a housing community and program to get homeless families back on their feet. Police Chief Mike O’Brien's statement is a fair view of the issue. 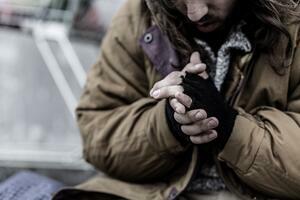 We have to approach the homeless situation with compassion, but also caution. There is a criminal element within that population as well as people struggling with mental illness who may be unstable. You don't want to put yourself in harm's way, but in dealing with transients it's also important not to take away their human dignity. As Chico and the rest of the nation wrestles with the solution to the growing homeless problem we will all be confronted with this situation at some point. It's important to have a plan and know your options. While it's important to be compassionate, it's also important to be cautious. Making sure that your Chico apartment is covered in case of theft is key. Read all about Renter's Insurance and find out a way to get covered.